Graphic design annual report. 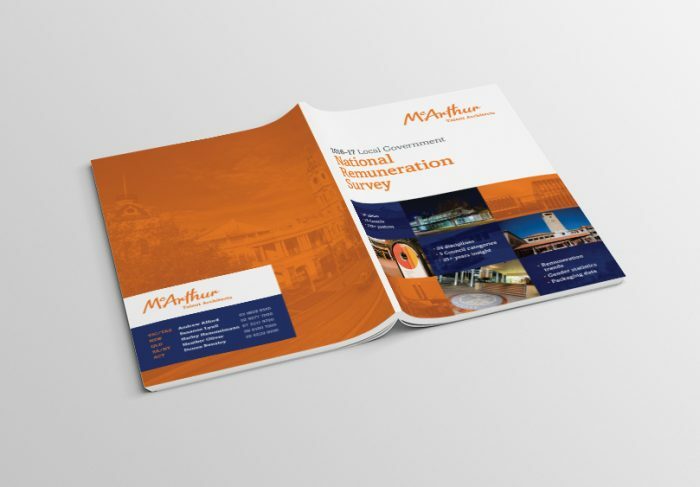 For the 10th year running McArthur have entrusted the graphic design and layout of their annual Remuneration Survey to MOO Marketing agency. This survey is a comprehensive statistical, graphical and analytical report which communicates important remuneration data to local government. The report contains a raft of complex information. Graphic design is extremely important and the publication needs to be easy to read and visually appealing. MOO is a leading Marketing and Graphic Design Agency in Melbourne. We have the unique ability to apply proven marketing principles to graphic design. This helps to create an easy to navigate and read report. The report contains data tables, graphs and analysis. There are a number of advertisements. Given the volume of statistics, this layout and graphic design project requires significant attention to detail. McArthur have an established brand and style guide. This is utilized and reinforced in the design and layout of the report. As a leading provider of services to the local government sector, brand consistency and discipline are paramount. MOO Marketing and graphic design staff are experts in brand marketing. This includes the creation of new brand style guides and the application of existing brand style guides. This is highlighted in the design of this report. The report is distributed in printed and digital formats. Our graphic designers have considered how the layout and design will work in both formats. The print version is over 140 pages long. Pre-press of the artwork is detailed to ensure printers have all they need to produce a prestige printed product. The report has been broadly distributed and extremely well received. MOO Marketing and Graphic Design Agency. 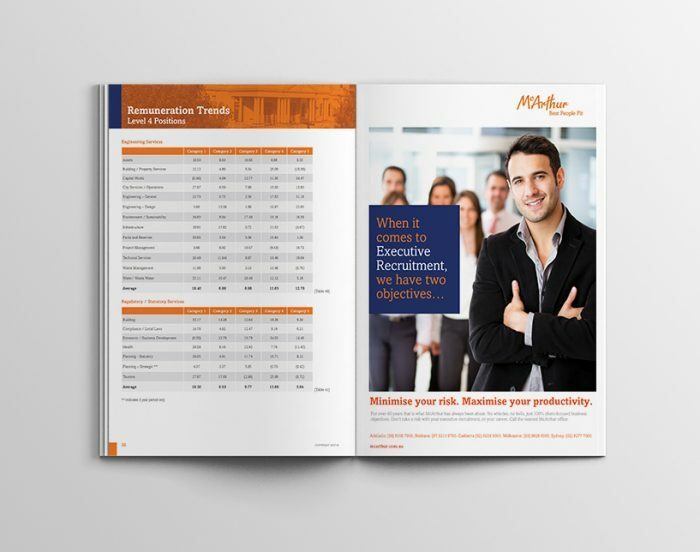 If you’re needing marketing agency services, graphic design annual report services, branding or copywriting for reports, surveys, advertising, publications, brochures, infographics, promotional material, flyers, brand style guides and/or the full suite of digital marketing services contact us here. We’d love to hear from you.